Federal Polytechnic, Bauchi, [FPTB] National Diploma ND, IJMB, Pre-National Diploma, Remedial and Certificate Programmes First [1st], Second [2nd] Batch Admission List for 2018/2019 Academic Session Out. 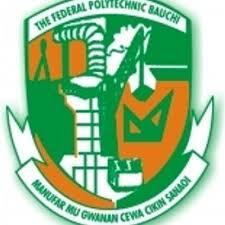 Authorities of the Federal Polytechnic Bauchi (FPTB) has released the list of candidates offered provisional admission into its Pre-ND, Diploma, Certificate, IJMB, ND and HND programmes for the 2018/2019 academic session. Federal Polytechnic Bauchi HND and Diploma First and Second Batch Admission List has been Released and uploaded online successfully. Other Programmes such as ND, IJMB, Remedial and Certificate First Batch Admission Lists has been uploaded also. Kindly follow the outlined procedures below to confirm admission status. You can follow the outlined procedures below to check your admission status if you have already filled the application form. 7) then click on the “Display List” button. The offer is subject to the confirmation of your suitability as a student on the basis of the qualifications listed in your application form. You will therefore be required to produce the originals of your Certificate(s)/Statement of Results. For candidates who obtained their O level results in the year 2011 or earlier, only their original certificates will be accepted for registration. Please note that if at any time after your registration it is discovered that you do not possess the qualification(s) on the basis of which you were offered admission, or you gave any other false information in your application form, you will be required to withdraw from the Polytechnic. You will be required to have been declared medically fit by a qualified Medical Practitioner acceptable to the Polytechnic before you are allowed to register. The attached Medical Examination form should therefore be duly completed by such a qualified Medical Practitioner and returned by you before registration. You will be required to register with TSHIP in the medical centre. You must be decent in your mode of dressing and as such no loose, weird, seductive or provocative mode of dressing is allowed. You must obtain clearance first from the department before making any payment as there would be no refund of fees after issuance of receipts. Payment of Fees must be made in full in the designated banks. This offer of admission is provisional and therefore, can be withdrawn at any time If you accept this offer under the above stipulated conditions, please proceed to the department for your clearance.